In our last blog post we summed up the Oktoberfest and we announced the start of the “Bockbier” time in Upper Franconia. In this post we want to further explain to you the “Bockbier” time and its history. As we already explained, “Bockbier” is a stronger beer with at least 6,5% vol. of alcohol. It is originally brewed with a high original wort for an extended shelf life. 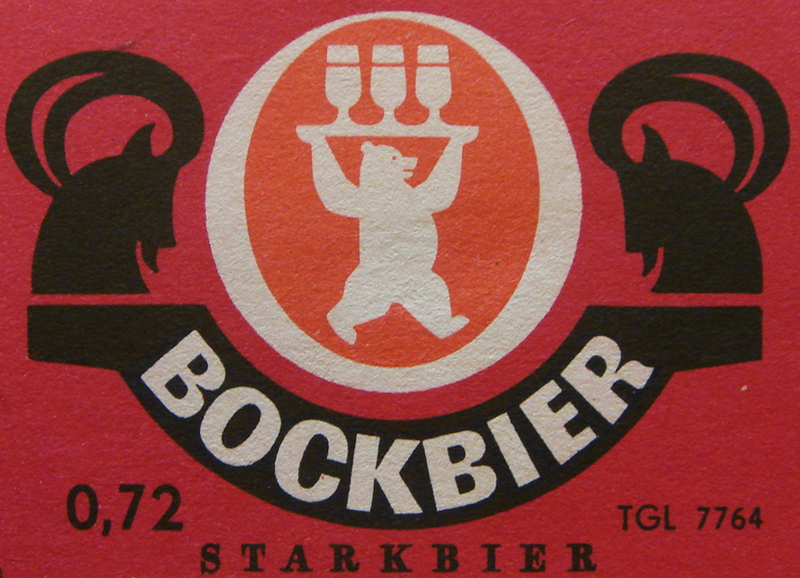 Nowadays “Bockbier” is a delicacy for German and overseas beer fans. Where does the “Bockbier” come from? The “Bockbier” is originally from northern Germany, particularly the hanseatic city Einbeck. In the middle age the beer from Einbeck was a delicacy. Due to this fact in the 13th century some Italians were interested in importing the beer. But in these times the shelf life of beer was very short, so the brewers had to find a new way to cure the beer and brewed it with a unusual high original wort what gives the “Bockbier” its unique, delicious taste. Despite the fact that the “Bockbier” was invented in northern Germany, it has also a strong tradition in Bavaria and Upper Franconia. But how does the “Bockbier” find its way to our region? In 1555 an important aristocrat from Munich started ordering the “Bockbier” from Einbeck. A few years later, due to its great success in Bavaria, the local Bavarian and Upper Franconian breweries started brewing their own special “Bockbier” for the winter period. They liked the taste and the long shelf life was very convenient to store the beer for the winter times. Thus brewing “Bockbier” in the end of September became a tradition in Upper Franconia and the people started to celebrate every year in every brewery that the first “Bockbier” of the year was brewed. This tradition lasts until today. So if you live in Germany or Upper Franconia in particular and want to celebrate the “Bockbier” time, you can find the schedule of this year`s “Bockbier” parties here.